You’ve probably heard that sleep improves brainpower, your body’s ability to heal, and emotional functioning. According to the Division of Sleep Medicine at Harvard Medical School in Boston, sleep affects your ability to retain facts and ideas, learn new information, and make logical decisions. But recent studies have found that sleep is also a key component of proper metabolic functioning—and managing food cravings. “Sleep deprivation changes the neurohormones that influence food choice and metabolism,” says Dr. Roxanne Prichard, associate professor of psychology at the University of St. Thomas in St. Paul, Minnesota, whose research focuses on the sleep habits of college students. Two hormones in particular, leptin and ghrelin , control hunger and energy levels. When you have limited sleep, these hormones become unbalanced, causing you to feel, well, a bit ravenous. “The combined effects of these neurohormone disturbances trick your body into thinking it needs more than 1000 extra calories a day, and a few slices of pizza will do the trick,” says Dr. Prichard. A 2012 study in the Annals of Internal Medicine measured the metabolic changes of seven sleep-deprived individuals. After four nights of getting only four to five hours of sleep, participants were more insulin resistant . Huh? The American Diabetes Association explains, “Inside the pancreas, cells make the hormone insulin. With each meal, cells release insulin to help the body use or store the blood glucose it gets from food.” So the sleep-deprived study participants’ cells didn’t respond as easily to normal insulin levels, and therefore, they didn’t process blood sugar as efficiently. In this condition, the pancreas must produce additional insulin, causing blood sugar to rise. In the short term, this can lead to fluctuations in energy level and brain functioning, and over time, increases your risk of developing metabolic disorders, such as weight gain and obesity. Maybe you’re thinking those metabolic effects are a long way off and if you eat a balanced diet and get regular exercise, you can mitigate the effects. While that’s true to a certain extent, there’s also an immediate concern that has to do with your academics. Here’s the equation: Insufficient sleep affects blood glucose levels and blood glucose levels are directly correlated with brain function. The Franklin Institutes’s Resources for Science Learning explains the connection like this: Insulin triggers cells through – out your body to pull glucose out of your bloodstream and store it for later use. Soon, the glucose available to your brain has dropped. Neurons, [which are] unable to store glucose, experience an energy crisis. Hours later, you feel spaced-out, weak, confused, and/or nervous. Your ability to focus and think suffers. “When I’m tired, my level of focus is shot,” says Lisa N., a senior at Lawrence University in Appleton, Wisconsin. “I’m much more likely to zone out in class or put less effort into assignments. I’m also less enthused about what I’m doing in school, so my work turns out mediocre. Sleep might seem dispensable when you’re trying to juggle lots of, well, life. “I think the biggest challenge is figuring out the best way to do everything I aim for without cutting back on sleep,” says Annie G., a senior at The College of Wooster in Ohio. According to researchers Harvey R. Colten and Bruce M. Altevogt, authors of Sleep Disorders and Sleep Deprivation: An Unmet Public Health Problem, some students try to prove to peers that they’re physically and mentally tough enough to go without sleep. But who does that really benefit? As Dr. Prichard explains, regular and consistent sleep is your key to health and academic success: Boosted immunity: During sleep your body produces cytokines , chemicals that help fight infections. 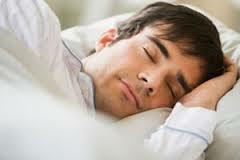 Sleep is also vital for tissue repair and regulation of growth hormones. Hormone control: Sleep is an essential time for the body to release hormones that help regulate mood. Academic performance: During sleep, the neurons used for concentration and learning get a break to repair themselves. “Getting regular, sufficient sleep is the best investment a student can make in his or her academic career,” says Dr. Prichard. will help you feel more energized during the day and fall asleep easier at night. “Create a ‘bed time,’ and follow it like a deadline for a paper,” says Annie. asleep. When your to-do list is long and deadlines are looming, it may seem like cutting out sleep is a good option. But ultimately it’s not. With enough sleep, you’ll be better able to focus on the task to be completed and will benefit from higher quality workout.